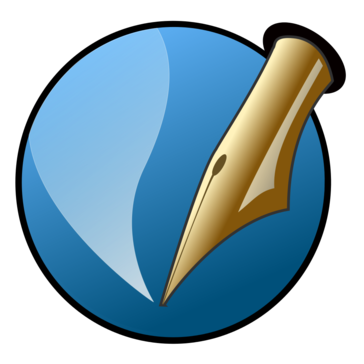 "Scribus, the open source alternative for desktop publishing"
First, Scribus is free and open source, which is very important in a field so specialized as desktop publishing. Commercial software like InDesign has prices so high that freelance designers, schools or nonprofit organizations can’t use them. Scribus is not a perfect substitute for those programs but it’s a great alternative to create all kind of publishing material with professional quality. In Scribus there are some tools, like master pages or styles, which control most of the layout and design process. I like how easy is to integrate text and images and make them flow together. The placement of text boxes can be automated too, and it’s very easy to create pages, clone them and reuse them when you need. Mastering this basic concepts speeds up your workflow and makes you capable of carry out all kinds of projects, from simple ones, like two-page brochures, to fully illustrated manuals. Scribus is not easy, you need time to learn and master several concepts that can be tricky, especially for those who haven’t worked with software like InDesign or QuarkXpress before. More and more tutorials and guides are available each day, but the newcomer has to realize that an adaptation process is needed to become familiar with both the tools and the way everything is done in desktop publishing. However, as I said before, once the basics are mastered only your imagination is the limit. A problem that Scribus team (as of version 1.4.6) has not yet solved is how to manage tables. The tool to create and modify them is so basic that it's not worth wasting time with it. It’s easier to create the tables we want in another program, for example LibreOffice or Inkscape, and then export them in a vector format that Scribus can read. I hope the next stable version of Scribus will have this problem solved, since creating and editing tables is basic in design. Like in other open source programs there are also limitations with proprietary color palettes, for example Pantone. This but this must be taken into account if your work is going to a traditional printing office, if your output is PDF this is not an issue. You must be aware of the limitations of Scribus. Although it fulfills most of the common tasks of desktop publishing, it’s not a perfect substitute for commercial software like InDesign and it’s very unlikely that a company will use it in a professional environment. However if you (or your school, or your nonprofit organization) are looking for a free tool to design and publish your projects, Scribus is the program you need. With Scribus I have been able to create professional-quality books with zero cost on software licenses. You don’t have to worry about monthly fees or renewals. When a new version is released, you can download and install it in a few minutes. My main activity is creating books in PDF, a task that I discovered Scribus performs flawlessly, with lots of options and seamless compatibility. "Herramienta sencilla, eficaz y eficiente, recomendada"
A destacar, el ser una plataforma libre de pago, con todas las ventajas que esto conlleva. Siguiéndole, la diversidad de proyectos que te permite realizar (siendo una opción el guardar el documento en el formato pdf, cuya utilidad es amplia). Basándome en la experiencia propia, gracias a Scrib, mi empresa no solo ha podido realizar formularios para los distintos clientes, sino que además ha podido hacer folletos para promocionar sus productos (predicando sus usos y el impacto de estos en el medioambiente...) con un halo de profesionalidad que nada tiene que envidiar a una plataforma de pago. Para todos aquellos que se encarguen del marketing de una empresa, saben lo importante que es saber vender el producto así como captar y alentar a los clientes a invertir en los mismos, y esta plataforma es sobresaliente para ello, al contar con todo el espectro visible (CMYK), esto le brinda ya sea a la revista, folleto, al documento en general, una frescura y una originalidad que no solo hace destacar los productos sino que de forma indirecta, llama la atención de los clientes, el impacto visual es importante. Otro punto a favor sería la cantidad de idiomas en los que se encuentra, concretamente 24, que sumándose a que es una plataforma gratuita, es asequible para personas de muchos rincones del mundo. A agradecer de esta plataforma la cantidad de herramientas que puedes utilizar para editar el documento, contando desde el más básico cambio de tamaño de letras e imágenes hasta algo tan profesional como las separaciones de color. Así como la presencia de fuentes inexistentes en procesadores de textos como pueden ser las capas, páginas maestras y siluetado del texto. En Scribus también puedes utilizar plantillas propias, ideal para principiantes que quieren adentrarse en la plataforma pero no saben como. Uno de sus mayores inconvenientes: cuando se copia un cuadro de texto, no se copia el elemento en sí, sino que se hace una imagen de ese cuadro de texto, lo que conlleva el diseño de un cuadro con las mismas dimensiones, provocando una gran perdida de tiempo aunque con un poco de práctica, esto no será mucho problema. Añadiendo otro punto negativo, no se puede elegir el tanto por ciento del degradado en el título y el hecho de no poder rotar ni girar imágenes que estén dentro de un cuadro de texto. Antes de comenzar a escribir, es recomendable hacer una especie de croquis del proyecto a realizar, así no solo visualizaremos de antemano la forma que tendrá el documento en cuestión, sino que además podremos distribuir la información con mucha más facilidad así como ahorrar tiempo, que nunca está de más. Hemos resuelto en general el marketing de la empresa a nivel promoción, al hacer no solo formularios sino folletos de los productos más atractivos para los clientes, llegando a aumentar la compra de los mismos. "Works great for designing with text and images"
I really appreciate high-quality, useful open-source free software. As a free-lance wildlife photographer, the ability to access free software is critical. Adopting Scribus has allowed me to drop Adobe Creative Cloud. Whenever I have had a question about how to do anything with the software, a quick Google search has always provided an immediate answer. A Scribus forum is available to ask questions as well. Image boxes do not have a caption function. Captions can, of course, be added by creating an image box and a text box for the caption. It is an acceptable substitute for much more expensive software. Using Scribus and my wildlife photographs, I've designed growth charts to record children's heights which I sell on Etsy. In addition, I use Scribus to design newsletters and MagCloud publications. I've also produced my business cards and letterhead in Scribus. What Desktop Publishing solution do you use? I love the Free Software idea! I mean, you can have the entire experience of an book-magazine editor, at a professional level for free. The UI design is very nice and it's not heavy. Doesn't occupy much space on your hard drive and doesnt recquire many RAM. It is fast compared with other programs as In Design. I don't have any complains about program itself, it's just that I'm used to work with other program. It is a great option to learn making books and magazines before jump to InDesign, or if you don't want to pay for this kind of software. Just give it a try! "Free to use but things could be easier"
The face that Scribus is free to use is the best part. I do very limited and simple desktop publishing so I don't need to go out and spend hundreds of dollars on a product I won't use very often. Setting up my sheet sizes and importing my logos/images are nice and easy. There are many different exporting options, including EPS which is great if I need to pull my creation into GIMP for editing. Text editing is a nightmare. When adding text, you need to open up a different window for the editing. But if you don't highlight the text correctly it seems like it doesn't accept the changes. Many other parts of Scribus are easy to use but if dread it if I have to add text to a project. Good product, just needs a little improvement. However, when using, just remember that Google is your friend. I've found many tips from other users when I search for something specific. Minor desktop publishing. I use Scribus to make table tents, flyers, brochures, promo item proofs, etc. "Swictched from Indesign to Scribus"
This free program can do pretty much anything InDesign can do. I have the CS4 f InDesign and have used it for years. I do a 25-page (60-70 color photos) monthly email PDF newsletter. I decided to switch when my desktop PC went into the shop for two weeks with a mysterious monitor blackout problem. InDesign can only be installed on 1 computer. A killer if you have to switch to your backup machine. I installed Scribus on my laptop and used creating a duplicate of my previous issue as a way to learn it. It is very different from InDesign and the learning curve is a little steep, but I have found that once you have it down it does anything I want, and it handles sizing photos better than InDesign. (Instead of Placing a photo you draw an image frame. Can set frame to image size or image to frame size. Very good idea.) . I now have it on both my PC and laptop, and keep a daily backup on an external hard drive that can be moved from one machine to another. Once in a while hitting Ctrl-V to paste something in the clipboard causes the program to close, losing your latest changes. I have gotten into the habit of saving before pasting. But on the whole I am very happy with Scribus. "A prouduction-ready Desktop publishing software, free and open-source"
Scribus is a multiplatform, open source, free desktop publishing software. It can import a wide range of formats and allows a full control over the page. It features many professional marks, like CYMK support, image packing, and a wonderful PDF export function, very appreciated by professional printing services. It also plays nicely with other open-source software, like Inkscape. The interface is a steep learn curve at the beginning, and some features, like the text editor, show still room for improvement. Also, being so portable it does not integrates completely with the native features of some operating system, lime Mac OS. The learning curve is a bit steep at the beginning, but it pays back soon! Scribus is a wonderful tool to prepare booklets for printing, pdf forms, and presentations. It is free and multi-platform, so we can deploy it on every machine and bring it around with us, without worrying of license codes. "A great alternative to InDesign"
It's functional, free and does the job. Does everything that ID does (with a few caveats/differences) but it gets the job done in the same way in the same amount of time. In short: It's free! Try it! Some of the features and functions seemed clunky and slow to me sometimes, especially since I was using InDesign for college coursework and heading home to use Scribus for personal projects. It was difficult to set things like tab stops and spacing, for example. Text boxes and settings work differently compared to ID as well. The more I used the program, the more I found functions that Scribus lacked or I found easier to do on ID. I used this software for 2.5 years to produce an independent magazine. The publication was entirely self-funded, so using a free program was the best and smartest option. Sure, it's not as user-friendly sometimes like ID, but it's free, so you can't really complain too much. "Excellent and professional free product"
I used this tool for the first time when I was asked to do an animation book layout for a movie project. Since this was not the kind of work I usually do I didn't want to spend a large amount of money in a commercial sofware like InDesign. I was really happy to see that this open tool had everthing I needed to get a professional result. It has many functions for text and image editing and was also easy to understand at a basic level, so it didn't take me too long to start working with my first layout. Scribus can also be integrated with Gimp, a more complete open tool for image editing. It can be a little hard to move the objects to the exact position you need them to be. There are times when you need to calculate the positions numerically or move the objects little by little since the program can't aligning objects automatically..
Scribus has all the functionalities required to get very proffesional results. This surely is your best option if you don't want to spend your money in an expansive desktop publishing software. This very complete and professional tool is an excellent free alternative to more expensive publishing software. "An excellent open tool for publication and poster layout." The best thing about Scribus I would say is it's complete support for CMYK color management capabilities. This is a feature that's sort of difficult to find in open source packages. It's also very easy to understand and use, with most of it's features being usable from the toolbar and all the object editing functions placed in context menus. It's export function is also very good, with support for placing standard crop, alignment and color calibration marks. Scribus is also extensible with custom Python plugins. Some basic functionality is provided by plugins included with the standard distribution of Scribus. Things like aligning an image to the center of an image frame for example. The problem is that as plugins these functions become sort of difficult to find for first time users. There is only one function missing from the program that I think is very important: aligning two or more objects vertically or horizontally. This can be done manually by calculating and tweaking the positions of objects numerically, but it's certainly not the best way to do it. If you need a full featured desktop publishing solution Scribus is great for the job. If you already have experience with similar software like Adobe InDesing or QuarkXpress then switching to Scribus will be very quick and easy. I use Scribus professionally to layout academic posters for the research center I'm currently working with. I also use Scribus extensively as a hobbyist to layout minicomics and zines, and to prepare stencil masks for printing. Older versions reported problems working with some commercial printing services like Lulu.com but I have never experienced such problems with my posters. "Scribus is great for professional use"
Scribus is a great alternative to expensive seats of Indesign or Quark. I'm a professional marketing communications creative developer. I used QuarkXpress for more than 10 years, then started my own business and didn't feel like paying for Indesign or Quark, so I started doing some research. Came across Scribus, Inkscape and Paint.NET, and I've never looked back. I've been using it for 10 years, and it's never let me down. Try it, and pair it with Inkscape for vector art and Paint.NET for image editing. Sweet suite. I design print pieces for clients regularly and send them off to professional printers. There's never been a problem with the files. I save tons in original license fees and costs of software updates. Scribus is available for Linux, including Ubuntu and other flavours that are user friendly, so it is available free of charge. Unlike many commercial software packages that beta test on paying users, Scribus encourages everyone to experiment with the software without charging you any money. Scribus will run on my Mac, but some things don't work as well. I would advise you try the program yourself because it works really well for layout and design of publications for web or print. Find a flavour of Linux desktop that works for you. There are many types and they are not the same. I started with Ubuntu, but there are others that might have features that you would like better. Once you have a type of Linux you like -- check out the world of FREE software. Unlink other operating systems -- if you can get it to work it is yours. You don't have to pay huge sums of money to get tools to work with. I learned Adobe software on my employer's copy, so when I wasn't working there, I lost access to the programs. Learning Scribus allows me to have the functionality of expensive software free of charge. Scribus is an excellent substitute for Adobe products -- without the cost. Paired with The Gimp, you can do almost everything that you can in Creative Suite. "An excellent compliment to my creative ckoud programs"
Scribus isnt super intuitive. It's a bit difficult to navigate in the beginning and i can see where people could get easily frustrated with learning where the tools are. If you're willing to put in the time and actually learn it's certainly worth it.. I honestly did a lot of googling when i first got it but once you get the hang of it, it's awesome! For me, most of the benefits are with type. Type setting with Scribus is excellent. It allows me to dive into the details of my work and really make my projects look how i want them to look. It was a free substitute for Adobe Indesign. It got the job done without having to pay the monthly fee for the Adobe suite. It has a bit of a learning curve and it's not as user friendly and intuitive as InDesign. I'm able to make simple document layouts and export for use with other programs in a pinch. It's a decent substitute for Indesign if you're on a budget. "A pretty good desktop publisher"
Give it a try. If you are on a budget you can still have excellent print material. I was able to create attractive newsletters for my company at no cost. I like that it is free and available. For small companies with little overhead profit this is the difference between success and failure. If you are used to other brands of publishing tools then it may take a while to get used to these. Try it out! There is nothing to lose. Plus it is always good to know MORE software. It is a publishing tool. Super easy to use and packed with all of the essentials needed for all types of publication. As with most if not all open source software, help can be somewhat slow and a bit lacking. Easy publication use across the board. * We monitor all Scribus reviews to prevent fraudulent reviews and keep review quality high. We do not post reviews by company employees or direct competitors. Validated reviews require the user to submit a screenshot of the product containing their user ID, in order to verify a user is an actual user of the product. Hi there! Are you looking to implement a solution like Scribus?